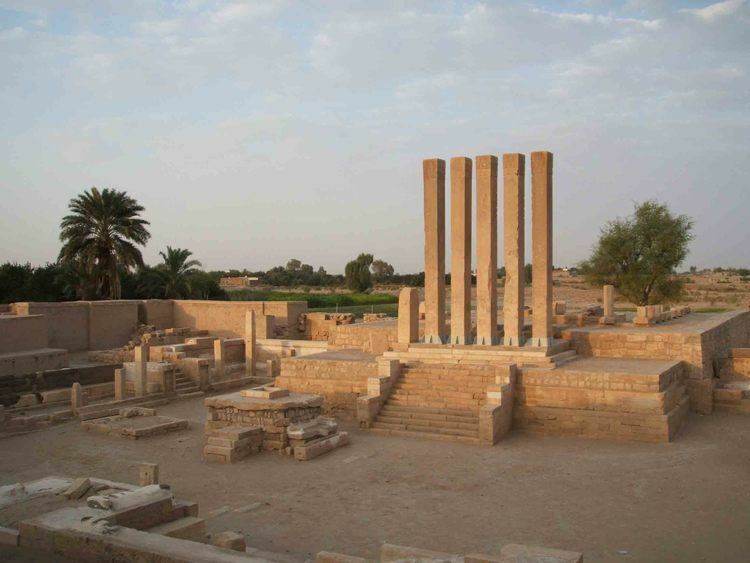 Ma'rib or Marib (Arabic: مأرب‎‎ Maʾrib) is the capital city of the Ma'rib Governorate, Yemen and was the capital of the Sabaean kingdom, which some scholars believe to be the ancient Sheba of biblical fame. It is located approximately 120 kilometers east of Yemen's modern capital, Sana'a. It has a current population of 16,794. In 2011 Ma'rib has been referred to as "the Al Qaeda capital of Yemen". 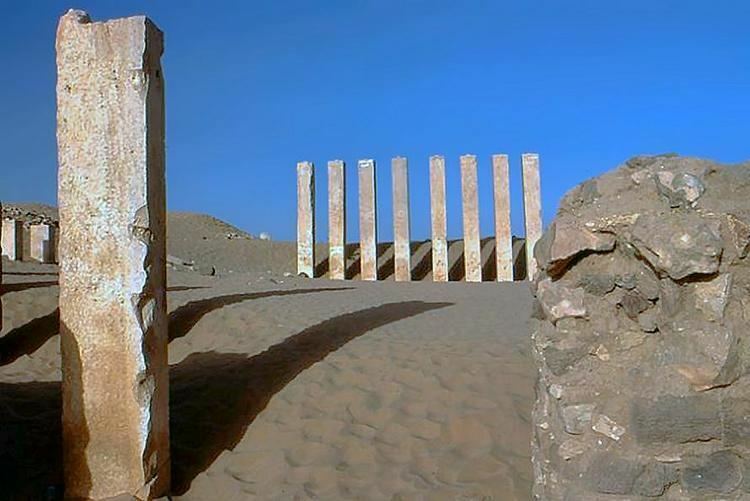 The Sabaean kingdom was located in what is now Marib in northern Yemen. The Sabaean kings made their capital at Ma'rib, and built great irrigation works such as the Ma'rib dams, whose ruins are still visible. The Marib Dam supported a flourishing culture for more than a thousand years; its collapse in 575 CE, before the birth of Muhammad, may be one of the main reasons that Arabia did not become Christian. They also built castles and temples (Awwam and Barran) in the area, and were known for trading the valuable frankincense and myrrh. They were a seafaring people and were known to have influence and a population in the Northeast African kingdom of Dʿmt, across the Red Sea in Eritrea and Ethiopia, the only other source of both frankincense and myrrh. In 25 B.C., Aelius Gallus led "an expedition to Ma'rib (Yemen)." 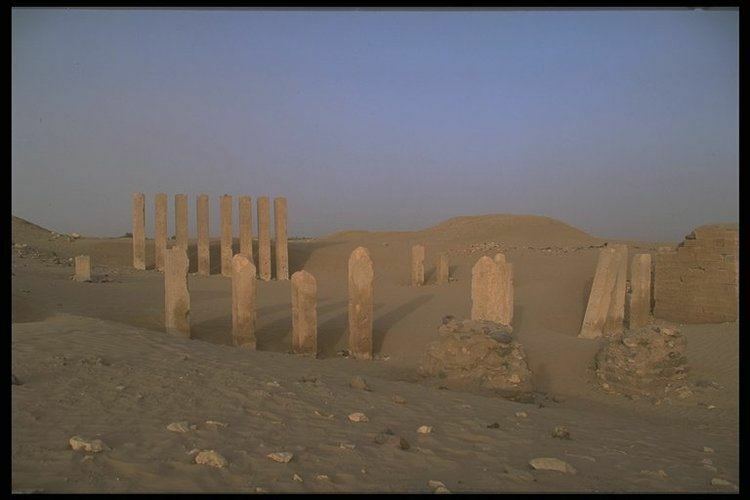 The site of ancient Ma'rib was largely abandoned during the 20th century. Although a small village remains, the multi-story mud-brick buildings of the historic city are largely in ruins. The modern city of Ma'rib is located about 3.5 kilometers north of the center of the ancient city. The Yemen Oil Refining Company opened an oil refinery in Ma'rib in 1986, which produces 10,000 barrels (1,600 m3) of oil per day (2009). In November 2009, the company announced an agreement with Korea's Shinhan to expand and upgrade the refinery to produce 25,000 barrels (4,000 m3)/day. Ma'rib is the start of the 438 km (272 mi) Marib-Ra's Isa oil pipeline, with a capacity of 200,000 barrels (32,000 m3) per day. According to the Abu Dhabi-based The National newspaper, "With 80 per cent of the province’s population Sunni and only one of the five main tribes supportive of the Zaidi Shiite Houthis, tribal fighters managed to repel the attack. As a result, the Houthis control only about 20 per cent of Marib and the oil fields remained under Hadi’s control. Many of the tribes in Marib, and in neighbouring Al Jawf and Shabwa provinces, are loyal to Saudi Arabia, which has offered financial support over many years. According to two tribal chiefs there are 8,000 Yemeni forces and tribal fighters based in Marib united against the Houthis. Some are directly loyal to President Hadi, others to Saudi Arabia and a large number to the Islah Party, a religiously conservative political group. The entire First Armoured Brigade, considered a military wing of Islah, based in Sanaa, was transferred to Marib in 2014 to defend the province. Other sections of Yemen’s military remained loyal to Ali Abdullah Saleh, the former president overthrown by Arab Spring protests who has now sided with the Houthis against Mr Hadi. After the Saudi-led coalition joined the war in March 2015 and drove the Houthis from most of Yemen’s southern provinces in July 2015, focus shifted to Marib, known as the gateway to Sanaa, where the strong support base made it a natural location for an attack in the north. The city of Marib is just 173km from the capital and the province adjoins the predominantly Sunni provinces of Al Jawf, Al Baitha and Shabwa, where the Houthis’ control is unlikely to hold if attacked. In particular, Al Jawf to the north would provide a route towards the Houthi’s Saada stronghold. The coalition began moving supplies to Marib in March 2015, using land routes from Saudi Arabia through Hadramout and Shabwa provinces. On August 2015, coalition forces started flying more reinforcements to Marib using a small airport in the tiny town of Safer, 60km east of Marib city. Loyalist military sources said further reinforcements including tanks, armoured vehicles, rocket launchers and Apache helicopters arrived August 2015. The town serves as a base for the state-run Safer Exploration and Production Operations Company and other foreign companies working in Yemen’s vital energy sector. The main gas pipeline south also runs through the town, which is controlled by the pro-Hadi military commander Abdullah Al Shaddadi. The nearest Houthi presence was in Baihan in Shabwa province, 50km away. Forty-five Emirati troops, along with 10 Saudis and 5 Bahrainis were killed in a Houthi ballistic missile strike on the Safer base near Ma'rib on December 14 2015. According to Al-Jazeera, by the 7th April 2015, Houthi forces had been expelled from the majority of the Ma'rib Governorate by Saudi-backed tribesmen. The governor of Marib told Al-Jazeera that forces allied to President Abd-Rabbu Mansour Hadi and the Gulf coalition were "perusing the last pockets of Houthis" in the province.